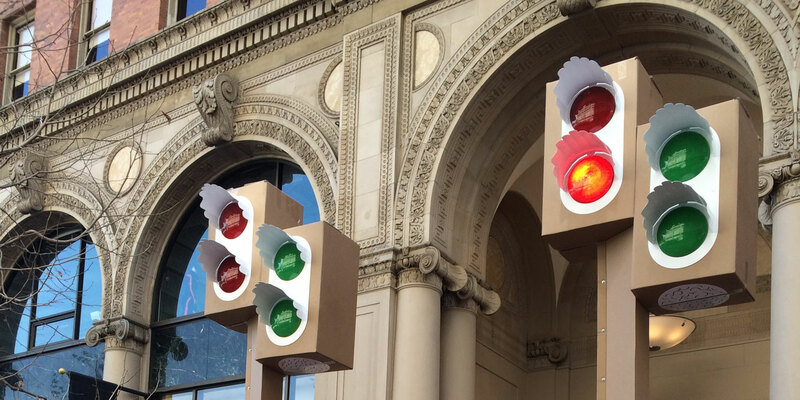 A unique design intervention has been unfolding over the past several months in San Francisco. The project, entitled the Market Street Prototyping Festival, is a three-way partnership tying together the interests of the City of San Francisco’s Planning Department, the Yerba Buena Center for the Arts, and dozens of artists and designers from across the city. To share this case study with our AAO members, we’re pleased to welcome guest presenter Neil Hrushowy, Manager of the City Design Group, Citywide Planning for City and County of San Francisco’s Planning Department. Neil was an early pioneer for this project, hatching the idea after attending a placemaking lecture by Knight Foundation’s Carol Coletta. Good thing, too, as the Knight Foundation wound up providing critical seed funding for the Festival. If you’re involved with a design organization that has an interest in pursuing public-private partnerships, the Market Street Prototyping Festival is an inspired case study with lots of useful information on offer. Please join us to learn more about this innovative project and the special talents each partner organization brought to the cause. This monthly webinar series is offered free of charge to AAO members.